“From a Nobel Prize winner, an intense political fable of fathers and sons and the desires that come between them. On the outskirts of a town 30 miles from Istanbul, a well digger and his young apprentice—a boy fleeing the confines of his middle class home—are hired to find water on a barren plain. As they struggle in the heat, excavating without luck meter by meter, they develop a filial bond neither has known before. But when the boy catches the eye of a stunning red-haired woman who seems as fascinated by him as he is by her, the events that ensue change the young man’s life forever and haunt him for the next 30 years. 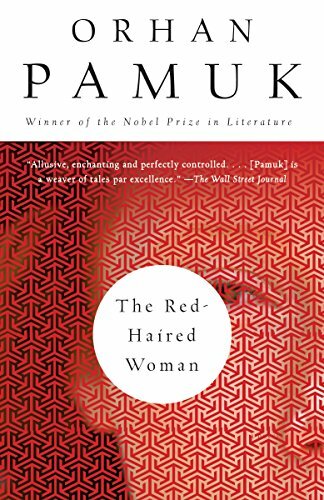 A tale of family and romance, of youth and old age, of tradition and modernity, The Red-haired Woman is a beguiling political mystery from one of the great storytellers of our time.